Styled with lucille pant . 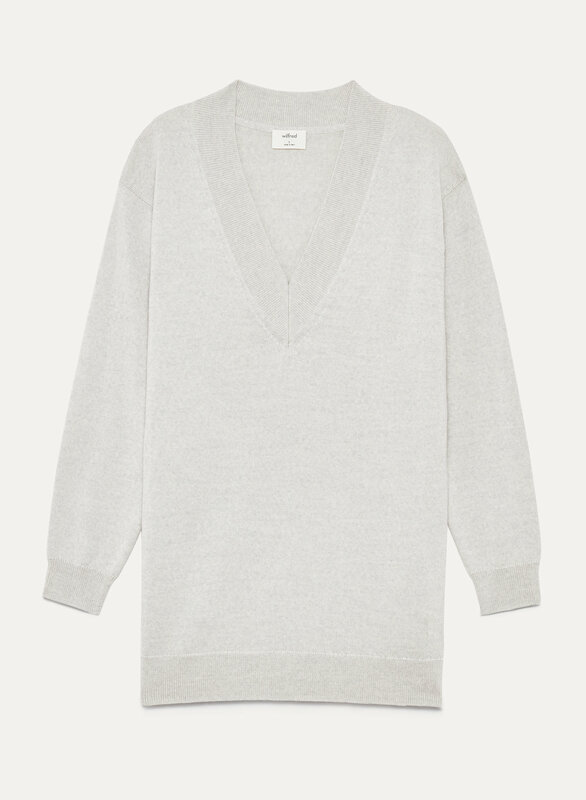 Made with cozy Italian merino, this V-neck sweater looks just as good layered over blouses as it does on its own. 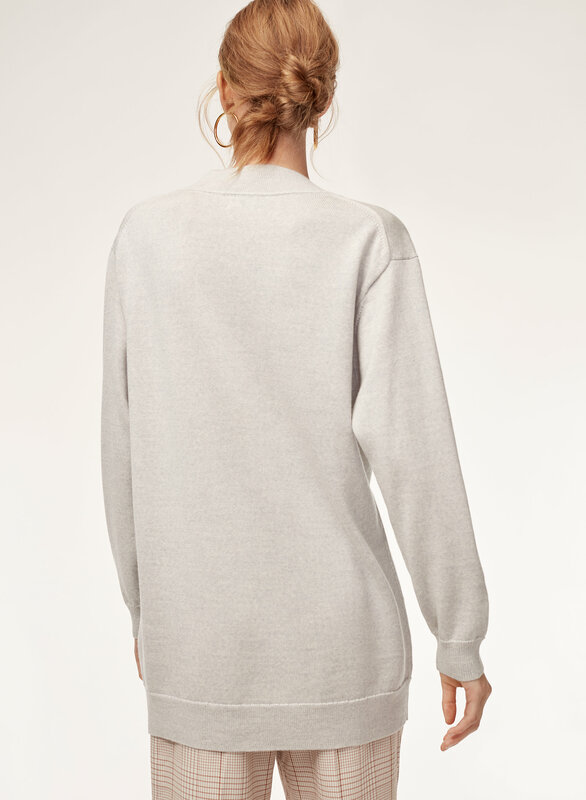 This sweater is so soft even the material is 100% wool! Normally I can’t wear those 100% wool sweater due to sensitive skin, but I am happy with this cozy sweater! It looks cute to pair with leggings and over the knee boots! This merino sweater isn't quite as thin as the Balzac sweater, but is a soft small-medium thickness knit that is refreshingly long when everything else seems to lean towards too short. I got this in the Sagesse and the colour is beautiful, but lighter than it appears in the photo here. I'm glad I tried this on in store first before ordering it because my usual size medium was far too loose and bunchy under the arms. I sized down to a small, which fit my figure much better, without being tight at all. Gorgeous fabric but I found it fit way too large!! !I returned it and will try on a S and a M for a better fit!! !